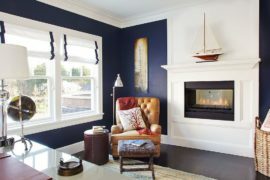 Decorating a corner space is often a tricky affair that requires a delicate balance between form and functionality. 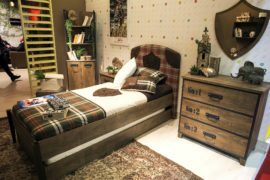 While we already browsed through some amazing living room corner decorating ideas and also a few inspirations for the bedroom, it is time to take on the kitchen challenge! 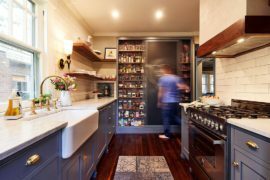 Putting the small corner in the kitchen to use is a must for most homeowners who try to make the most of the limited space on offer. 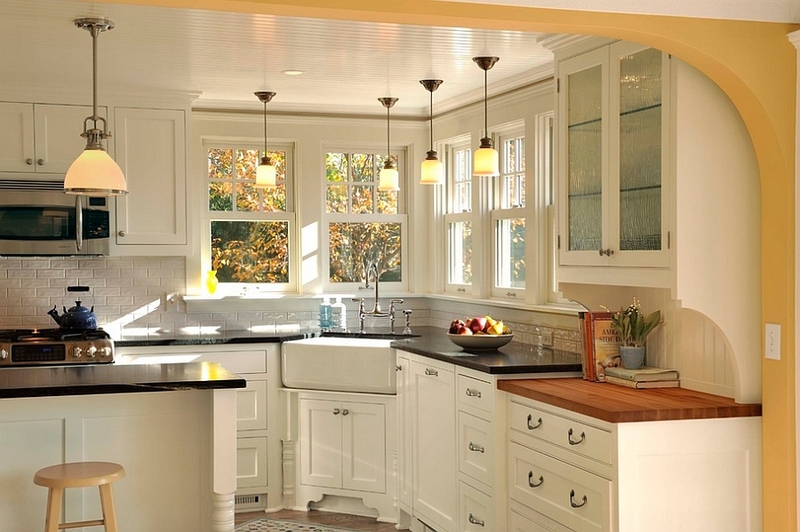 Using the kitchen corners smartly can free up the central space in the kitchen for other smart additions and also enhance the room aesthetically. 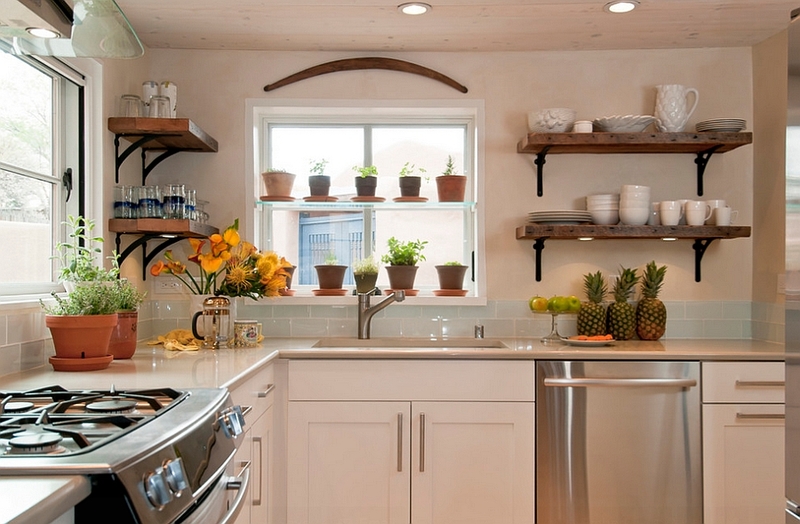 If you have a small kitchen where every inch of space matters and you wish to free up some counter space, a corner kitchen sink is the perfect choice. Obviously you can add another sink to your kitchen island if you are blessed with a larger kitchen, giving you a multitude of options. The corner sink does have its fair share of pros and cons, but there is no denying the fact that it adds a whole new dynamic to your kitchen aesthetics with ease! 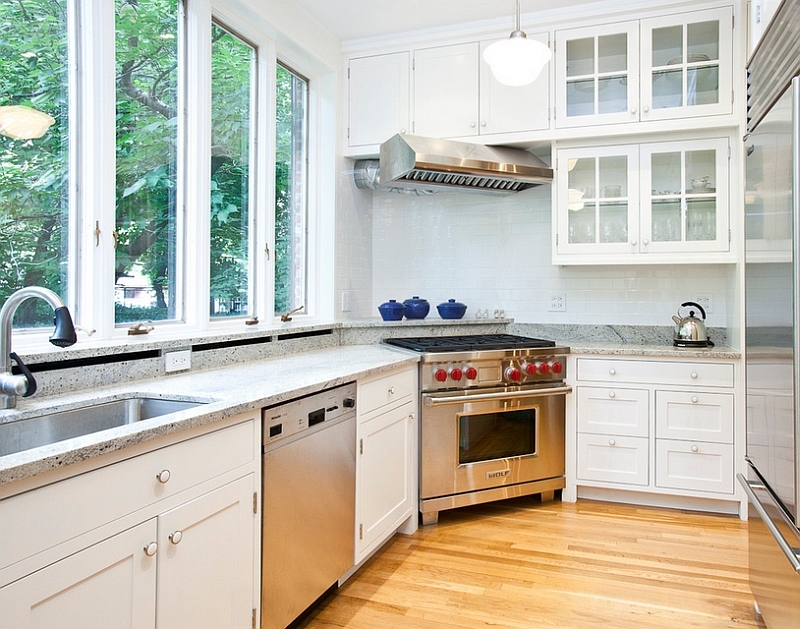 If you are not fond of the corner sink, then maybe the corner range and hood is the addition that your kitchen needs to find a new lease of life. 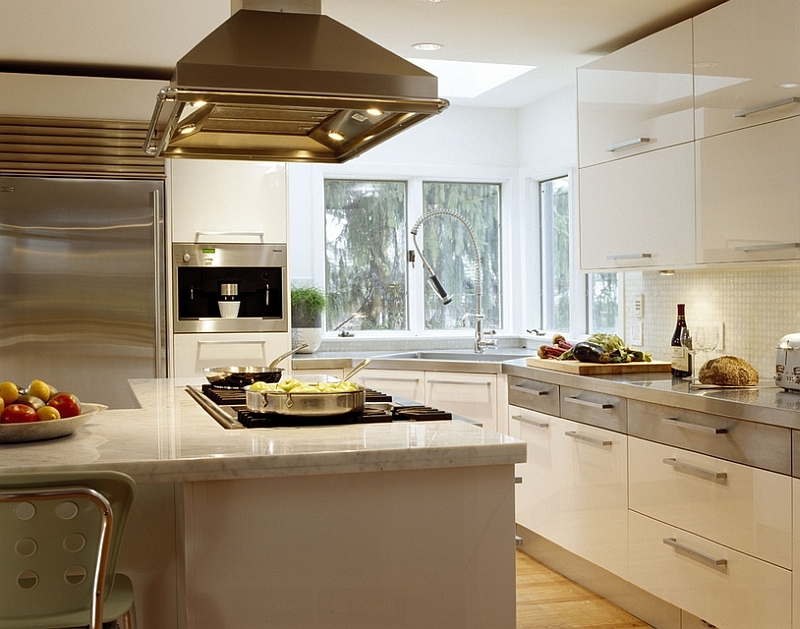 Corner range units are becoming more and more popular with each passing day, and while they do save up on precious space, you need the right hood and ventilation system to make the idea work. 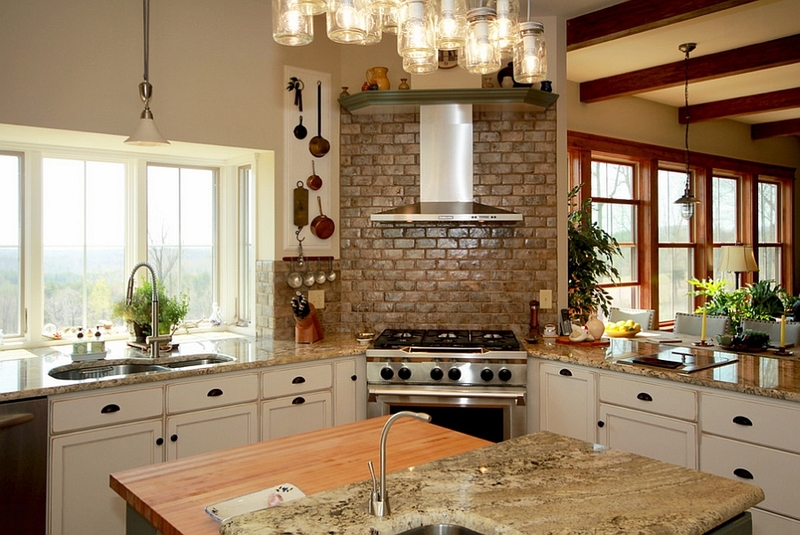 Surround it with lovely cabinets and counters on either side to tap into its full range of benefits. We are big fans of floating corner shelves for more reason than one. 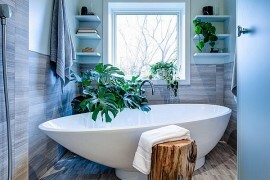 For starters, they lend visual airiness to a small space and ensure that it looks uncluttered. Then you have the option of turning these shelves into a wonderful display filled with your best chinaware, and adding floating shelves to the corner takes little effort and time. 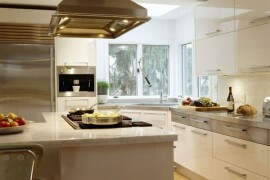 You need not commit to a huge renovation here, and you also have additional storage space in the kitchen in no time. Deep, long corner niches are hard to work with, as they often seem to form a room-within-a-room and seem almost isolated from the rest of the space. Turning this kitchen nook into a full-fledged home pantry is the easiest way to add value to this forgotten area. 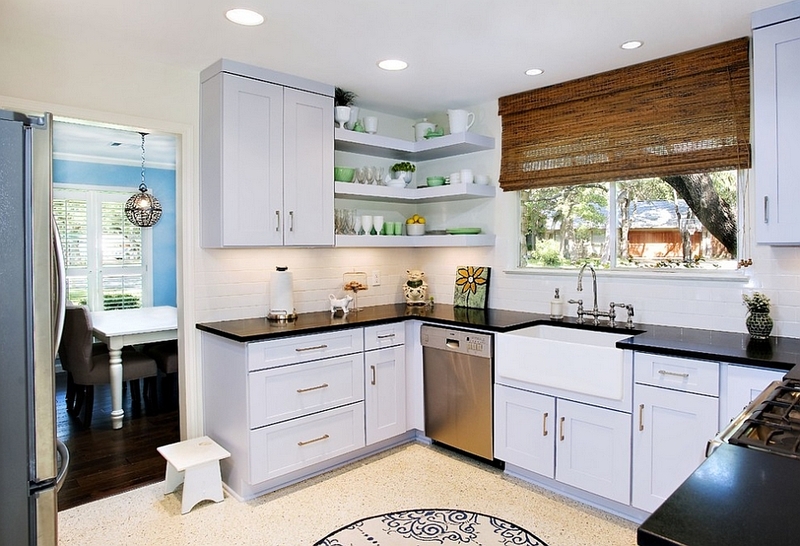 A lovely open pantry also adds plenty of color to your kitchen. 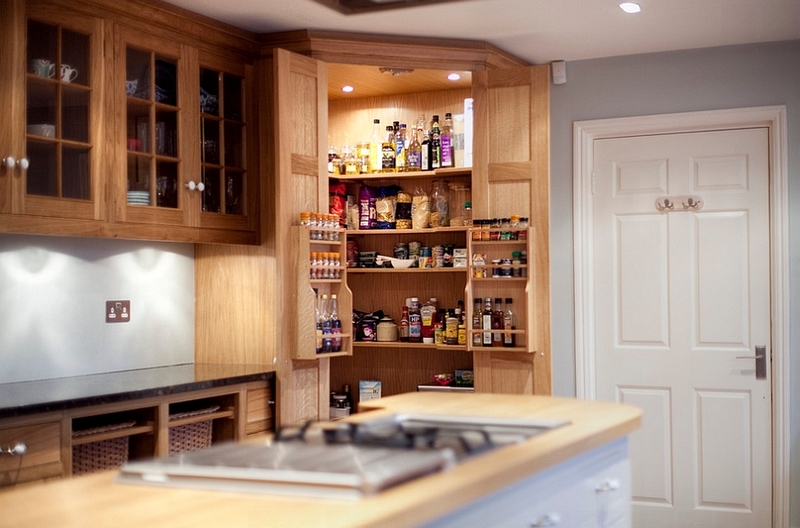 Just make sure you have the right lighting to turn the pantry into a bright and aesthetic addition! 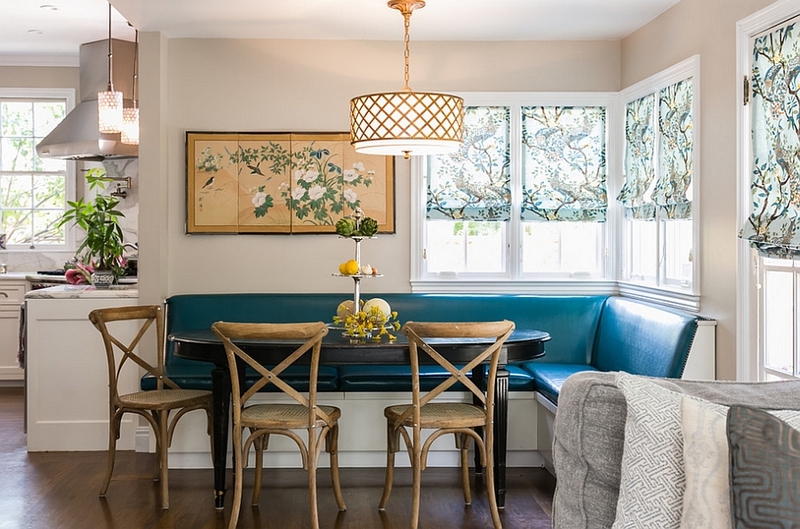 This is another classic that simply never goes out of style, and with the revitalization of the mid-century modern look, kitchen banquettes seem even more appropriate. 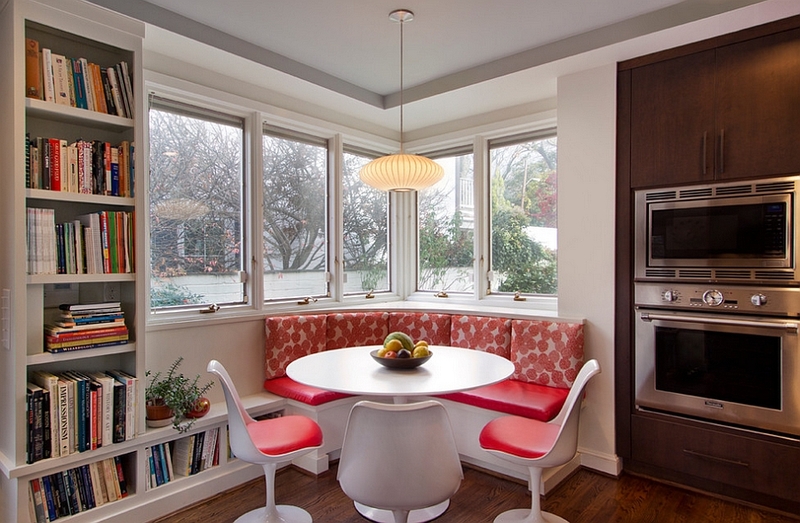 The size of the banquette booth, its style and seating depend on the existing appeal and size of your kitchen. All you need is a corner bench, a chair and a small table to transform even the tiniest of kitchen corners into a trendy breakfast nook. 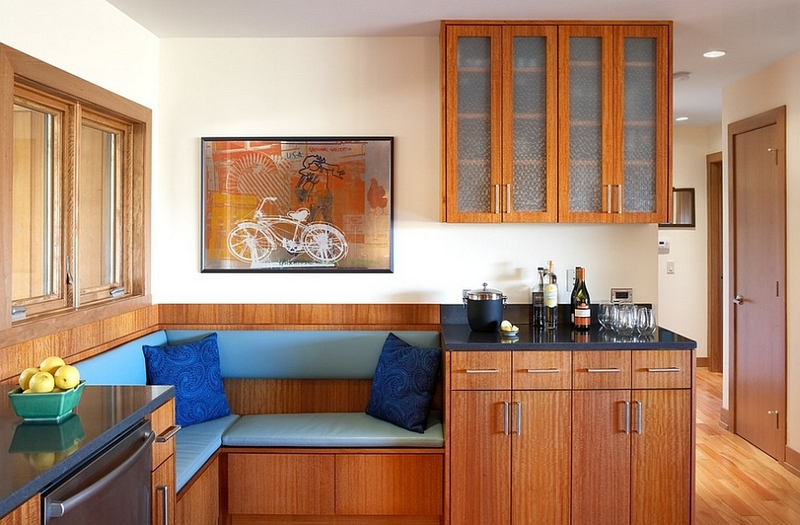 If you feel a banquette booth is too much work, simply add a table and a couple of chairs in the corner to shape an eat-in kitchen. Doubling as a clever, space-saving solution, this is a great idea for those who do not have additional space to spare for an exclusive dining area. 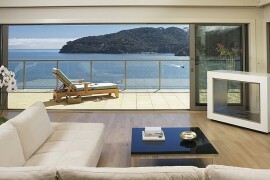 Often round tables with a sleek base tuck nicely into the corner and look far better than square or rectangular options. 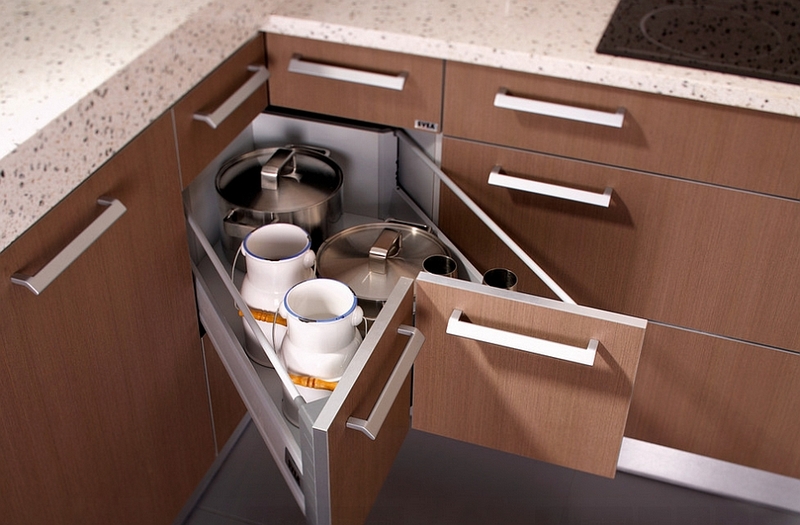 Modern corner drawers and wall-mounted shelves are the most popular option when it comes to kitchen corners. With a wide array of options on offer, contemporary corner pull-out drawers disappear when not in use and hide away plenty of the mess! 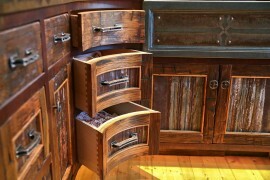 A perfect choice in case you are looking for additional storage options. 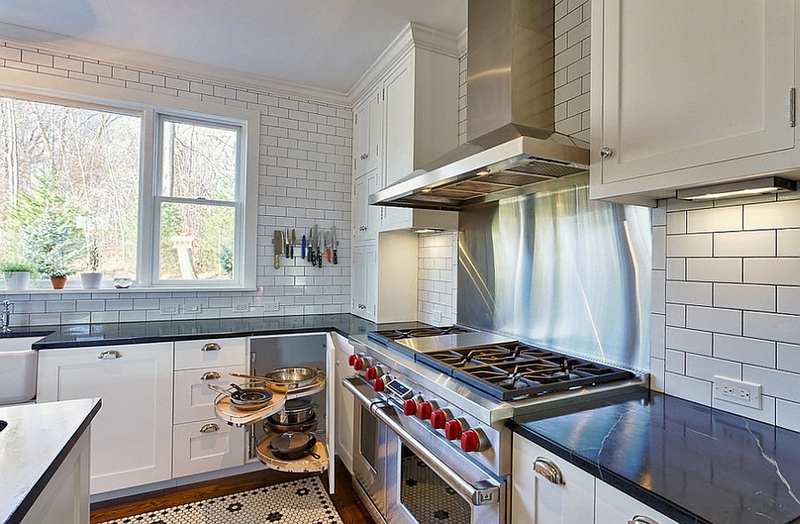 The modern kitchen is much more than a place to prepare and serve meals. 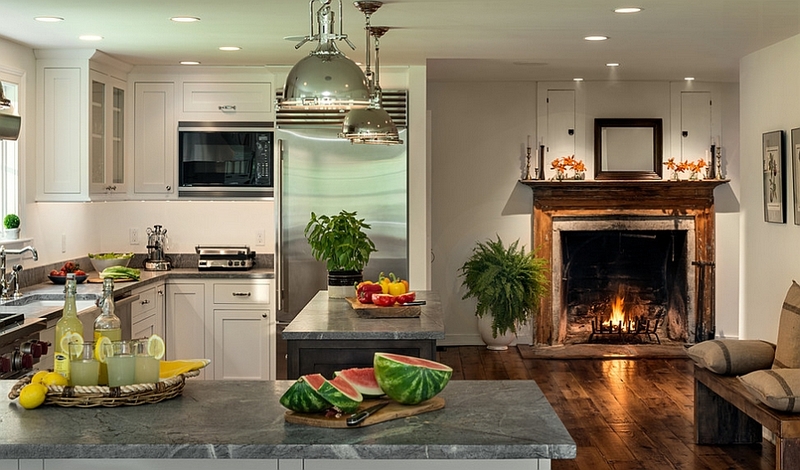 The current trend is to transform the kitchen into a thriving social hub that offers a great gathering spot for family and friends. 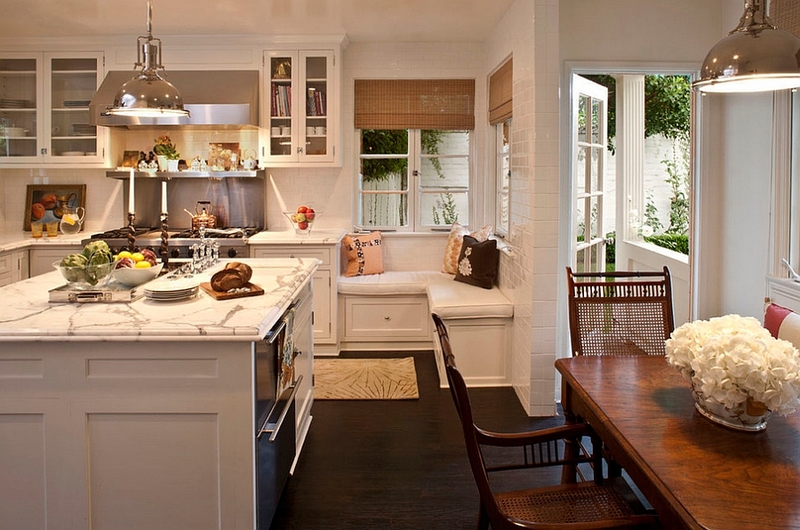 The kitchen corner can aid you in this makeover as well by giving you a cozy corner bench next to the window or even a compact workspace that lets you keep an eye on the kids while they unwind. If you have to host plenty of weekend parties for friends, perhaps a small home bar in the corner is what you will prefer. 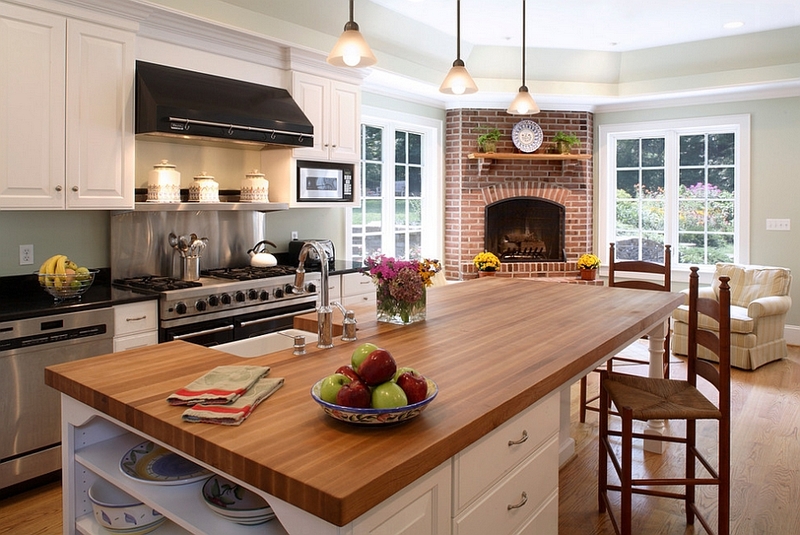 Do not be afraid to think beyond boring old shelves while revamping the kitchen corner. If any of our readers accuse me of trying to put a fireplace in pretty much every possible room of the house, they would be absolutely right! But a fireplace in the kitchen does have a unique allure, and with the holiday season around the corner (no pun intended), it does make for a dreamy addition! 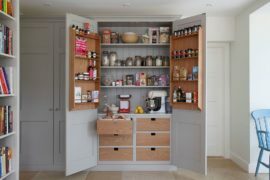 Obviously, most kitchens might not have the space to spare, but large traditional and farmhouse kitchens surely look even more charismatic with a fiery corner! Not really keen on filling up the corner with shelves or decor? 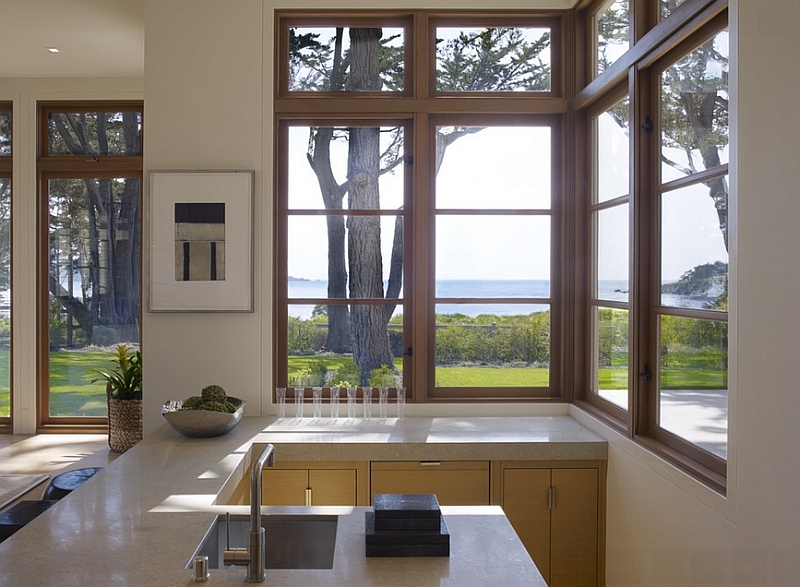 Maybe all your kitchen needs is a corner window that opens up the space to the outdoors and lets you take in the freshness outside. 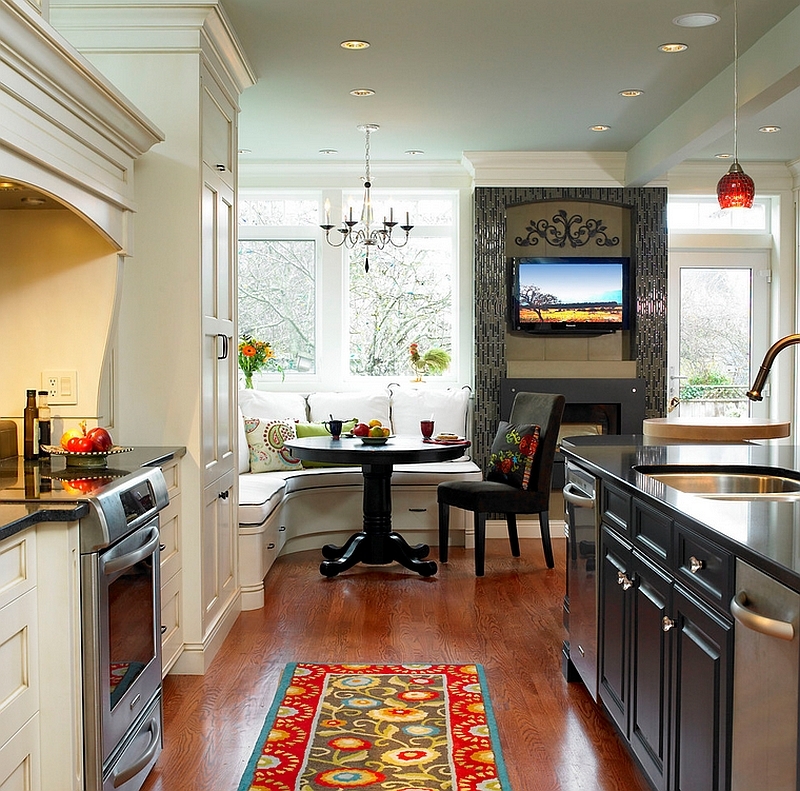 This is a simple and trendy way to give your kitchen an open and cheerful appeal while ushering in visual balance.